On one hand, the web is becoming more and more visual, and even the shortest of texts are supported by images. On the other hand, we have to pay lots of attention to loading times, in order to prevent us from scaring off visitors, or Google. With the development of the responsive web, a third component was added: a graphic’s ability to handle the different resolutions. SVG image material, also known as scalable vector graphics, is the solution. Small file sizes and a flexible adjustment to the screen size are given here. We have compiled the prettiest online tools and icon sets. Method Draw is a free web app to edit SVG files with. Specifically designed as an online vector editor, its controls are very simple: open a file, edit it, and save: done! With Snap.svg, SVG files can be created and edited for free, even turning them into lovely animations. Those who want to see some motion in their icons use SVG Morpheus, allowing two or more icons to transition into each other. Use this app to create pretty crystalline patterns. Plenty of input fields allow you to create custom patterns, which can be used as backgrounds for your projects. The Plain Pattern App is an easy to control application for the creation of patterns that can be exported from the SVG format. Chartist helps designers and developers to turn contents into interactive dynamic diagrams, which look the same on all terminal devices. Bonsai offers a library for graphic editing, which also supports an API and render platform for SVG. If the browser is too old to display SVG, SVGMagic can help you out. Blocked SVG content is converted into PNGs, allowing the browser to display it. Here’s where jQuery comes into play in the background. 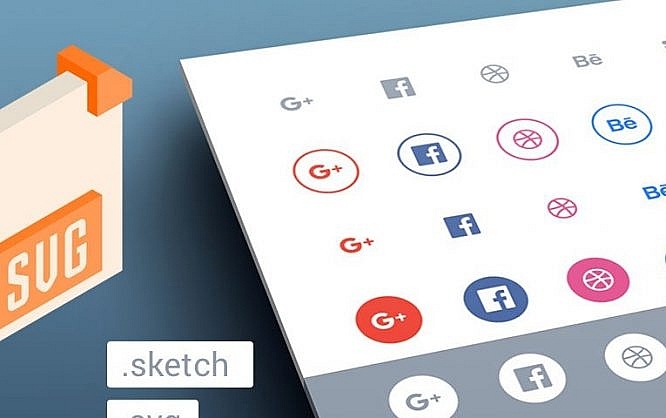 Glyphter provides you with easy access to 16 different sources of SVG-optimized icons and fonts. If you have a whole bunch of SVG animations or graphics, put them all together: Iconizr converts them into an applicable CSS icon kit.